Summary: A new study examines the relationship between absolute and relative time estimates. If you’ve ever noticed yourself thinking about the timing of a plan in two opposing ways – something that feels longer off than your actual time calculation — you’re on to something. New research shows our different ways of estimating time don’t necessarily move in lock-step.e. Relative time estimates refer to how distant or close a future event feels, such as “soon” or “far away.” Absolute time estimates however use objective units — days, weeks, months or years – to describe when an event may occur. The study from researchers at the University of Toronto’s Rotman School of Management revealed that when we consider unknown future events, such as when we’ll use a gift certificate, our relative and absolute time estimates tend to contradict each other. I’ll use that gift certificate soon, we might think, even though our actual objective time estimate is three months from now. As well, the frame of mind we bring to the consideration — whether we’re thinking broadly and abstractly, or using more concrete, detail-oriented thinking — influences which direction our relative and absolute time estimates will flow. 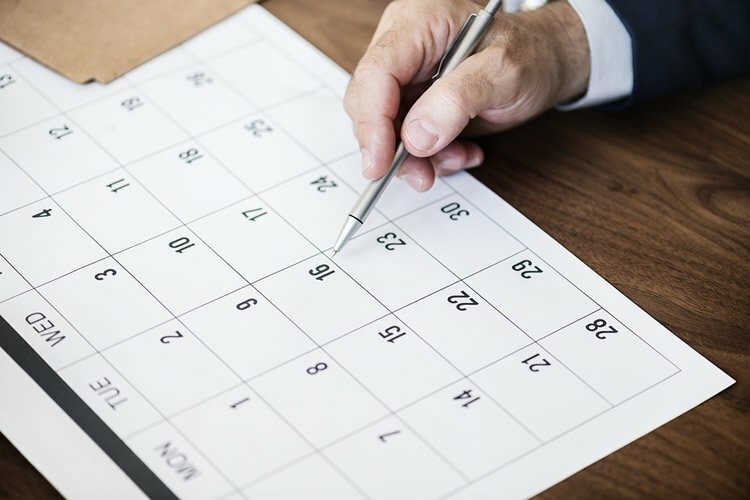 “It reminds me that when I plan for the future, I shouldn’t think just about what is the calendar date, but also how I’m looking at it — whether in an abstract or concrete mindset,” said lead study author Jing Hu, a doctoral student in organizational behaviour and human resource management, whose research was partly inspired by her own reflections on making plans to visit family. Sam Maglio, an assistant professor of marketing at the University of Toronto Scarborough, who is cross-appointed to the Rotman School, co-authored the study with her. In addition to the study’s academic contributions, it suggests that frames of mind can affect the urgency we bring to completing tasks and projects. NeuroscienceNews.com image is in the public domain. In addition to the study’s academic contributions, it suggests that frames of mind can affect the urgency we bring to completing tasks and projects. For example, using an abstract attitude by thinking about why we should do something vs. how, may yield a greater sense of urgency to getting it done, even though the actual time when it will occur is further away. That could be applied to a variety of situations, including leadership contexts, said Ms. Hu. Funding: Social Sciences and Humanities Research Council of Canada funded this study. Original Research: Abstract for “When soon feels far and later looms imminent: Decoupling absolute and relative timing estimates” by Jing Hu and Sam J. Maglio in Journal of Experimental Social Psychology. Published April 2018. University of Toronto “When Three Months From Now Feel Right Around the Corner.” NeuroscienceNews. NeuroscienceNews, 16 April 2018. University of Toronto “When Three Months From Now Feel Right Around the Corner.” http://neurosciencenews.com/absolute-relative-time-8811/ (accessed April 16, 2018). Time estimation regarding the occurrence of unknown future events can be done on both absolute (“How many days from now will it happen?”) and relative (“How far from now does it feel?”) units, yet investigations to date have examined each with little reference to the other. We consider both constructs simultaneously, documenting an instance in which absolute versus relative units result in a reversal for timing estimates. In Study 1, people thinking at a higher, abstract level of construal report later time estimates on an absolute unit but sooner time estimates on a relative unit, a pattern reversed among those at a lower, concrete level. Study 2a replicates that people thinking abstractly report later time estimates on an absolute unit while simultaneously using a broader scope by which to conceptualize time, and Study 2b provides evidence that these processes provide one possible mechanistic account for the reversal: People estimating time on a relative unit compare a subject (an absolute time estimate) to a referent (the salient mental time scope), which accounts for the tendency of people thinking abstractly (concretely) to report shorter (longer) estimates in relative time. Theoretical and practical implications for the estimation and experience of time are discussed.